La Vall D'hostoles Camping, the campsite. 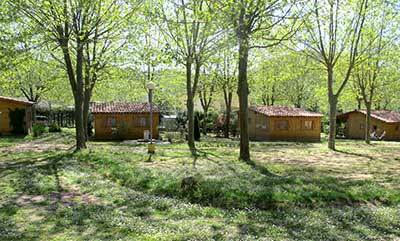 LA VALL D' HOSTOLES is a small, pretty and peaceful camping. Open since 1975, for many camping-lovers it continues to be the ideal place to spend a few days of rest or a relaxing holiday, far from modern life, from massification and from artificial sophistication. Its motto has always been Peace, Nature and leisure, concepts that both define the characteristics of our little camping and describe what our visitors can find and do here. 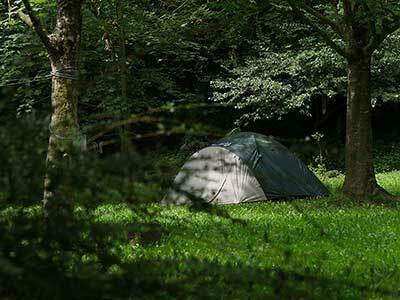 The camping ground is flat, covered with grass, and as there are a lot of annual trees it is sunny in the winter and shady and fresh in the summertime.